Scholarship. If you’re a parent worried about your child’s future, this word definitely rings a distinct meaning in your heart. It does for me. Scholarship was the only way I was foreseeing my children getting into college. With college tuition prices on the rise, more and more ulcers were developing in my tummy. How am I going to get 2 kids into college? If you live in Florida and haven’t heard the biggest news in college planning, well now is a great time to listen in. 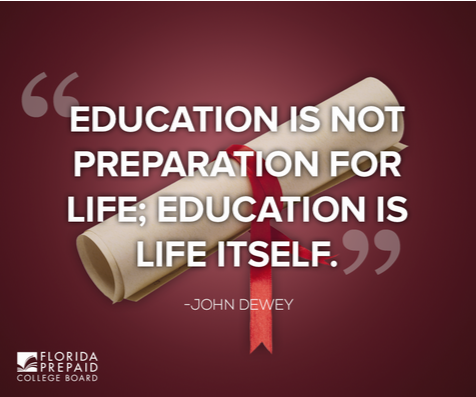 Now is the time to invest in your child’s college education with Florida Prepaid. And if you needed more reasons than that, I’ve got 5 of them. 5 BIG ones that will change the way you look at college and affordability forever. The House Bill 851 has recently been passed this year. And it’s good news for everyone that has bought and that is looking to invest in their child’s education. 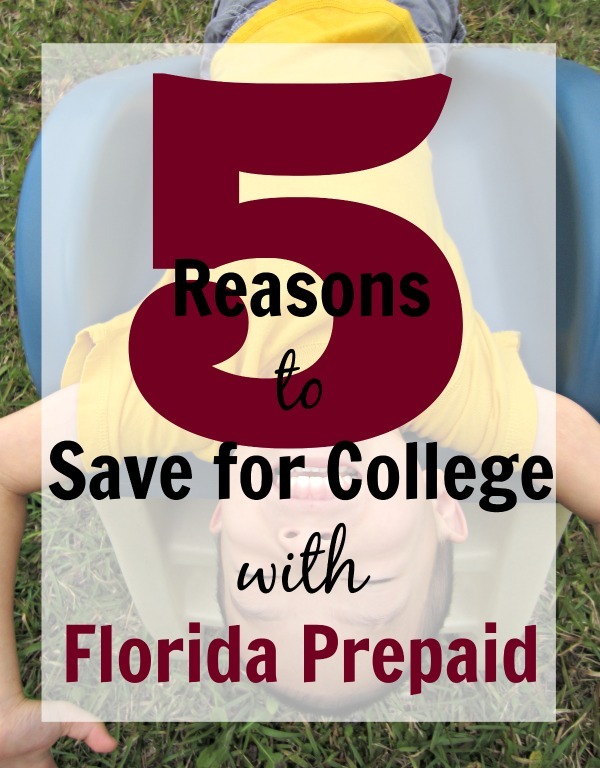 With the lowest prices in years of up to 50% off, more affordable plan options and even talks for savings, refunds and waived fees, Florida Prepaid has perked many of the ears of parents across the state. But if you’ve been wondering if Florida Prepaid is the best option for you and your family, I have 5 more reasons to LOVE Florida Prepaid! That’s not a typo. The decreased rates of up to 50% off are huge and they’re real. If you’ve been thinking about purchasing a Florida Prepaid Tuition for your child, NOW is the time to get on board. That means right now you can snag the BEST deal on college plans since 2008 with savings of up to 50% off from last year. You don’t get those kinds of savings on your groceries, folks! So while college tuition costs are going up and up, Florida Prepaid is making those costs more affordable and making that college dream a reality. If you’ve already purchased a Florida Prepaid Plan, there’s good news for you too. Also through the new bill, The Florida Prepaid College Board is able to REDUCE the purchase price of Prepaid Plans from Contract Year 2008 through Contract Year 2014. So if you’ve been paying for Florida Prepaid for your child (like we have), you may just find that quite a HUGE chunk of your bill has now be deducted and future fees reduced dramatically. This is HUGE for my family! We are saving over $28,000 on our existing plan! if you’ve already met your payment goal, you can be eligible for a REFUND. And lucky for everyone, right now begins the Open Enrollment Period period through February 28, 2015. If there was ever a time to jump onto the Florida Prepaid bandwagon, this is it. To celebrate all of these amazing changes to the Florida Prepaid program, Florida Prepaid is offering a waived application fee through December 31, 2014. That’s right, that’s immediate savings to you and your family, because Florida Prepaid knows how important your child’s college education is. You can fill out that application with a sigh of relief. But don’t forget, starting January 1, 2015, the application fee applies again. So be sure to grab these amazing savings now while you can. For the first time ever, Florida Prepaid is offering a brand new plan that is AFFORDABLE for families! The new 1-Year Florida University Plan allows families to purchase up to four years at a state university in one year increments as their budgets afford them. The best part? The new 1-Year Florida University Plan starts as low as $43 per month. That’s less than 1 family dinner out per month! You are investing in your child’s life everyday. You know as parents how important education is to their lives. You are not just making payments. You are investing in the person your child is and can become. You are giving them every opportunity to reach for the stars, achieve their dreams and fill their world with opportunity. My college education still affects me everyday through the choices I make, through my work, through my relationships. It’s a decision I have not regretted. Investing in my children’s education is a decision I am proud to make. When you sign up for any of the Florida Prepaid Plans, you can have peace of mind. Your rates won’t increase. Payment schedules stay the same. There’s no unexpected hidden fees or costs you have to pay down the road. You are saving for your child’s education knowing exactly what you owe. With automatic deductions, payment options (like if Grandma wants to contribute) and up to date information from Florida Prepaid, you can stay on top of your plan and stay in control. It’s such a blessing for our family to have Florida Prepaid. I don’t have to rely or hope for a scholarship. I can ensure college plans for my children right now. Today is the day. #StartingIsBelieving. This isn’t just a milestone for Florida, but a milestone for parents like you and me being able to do something amazing for our children today…and for all of their tomorrows. College Educations are real and obtainable. You just have to take that first step. Ready? Check out all of the options, learn more information and apply at MyFloridaPrepaid.com. 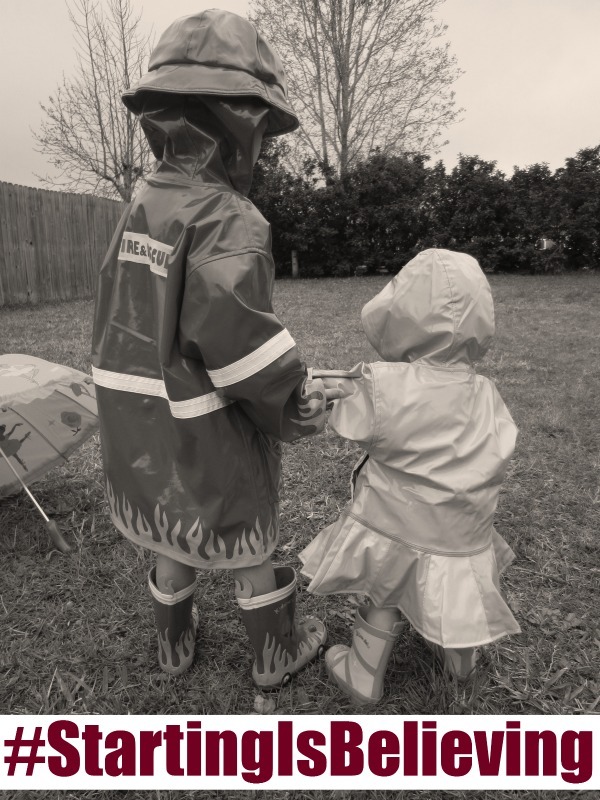 And follow Florida Prepaid via Facebook.com/FloridaPrepaid and Twitter at @FloridaPrepaid for the latest updates. Why is your child’s college education important to you? I don’t live in FL but saving for college seems to me to be something that needs to be done nowadays when you first learn you’re having a child. College has gotten so ridiculously expensive with no guarantee of a job. This is such a great plan for Florida families. We’ve been saving for my son’s education for over three years (since before he was born.) Hopefully he’ll greatly appreciate it when he heads off to college! My kids both have college funds, and I’m glad they do. It takes some of the worry off us about them getting an education. This is really great. Nice way to plan. I have been talking to my husband about our son’s future college plans! We both have so much debt from our school loans that is definitely something I don’t want my son to face! I will have to check this out! This is an awesome way to prepare for the kids future. I need to see if we have anything like this in Rhode Island immediately! This is such a genius idea! Really something to look into! This is a great college preparation tool. I have years to go but know that we’d better start saving now. This sounds like a great vehicle to prepare for college. We’ve got the ball rolling around here for our little ones. Who knows how much it will cost once it’s time for them to go off to school! This is a great program for families in Fl. My son was able to get a lot of scholarship money through his youth bowling league. This is really nice for FL families. I do want to make sure when I have kids I will invest in their future because I have loans now and they are not pretty! I want my children to have the best start possible and that means a good education. We’ve been saving for the college since they were born. Family members give money to their funds for holidays and birthdays – which is great to add to our monthly contributions! We have three children, all in the same grade so I am praying they will get scholarships! We will have a small college fund, but I don’t think anything significant…. I did this for the first three of my four babies (the last child was not born in Florida). It’s a wonderful program. My oldest joined the military and gets his college paid for, he cashed his out and used it to put a nice down payment on a car. My second oldest is using his now. And my teen will use hers when she graduates. I cannot say enough good things about Florida Prepaid. What a great program for FL families. My daughter will be starting college in a few years and I do wish there was a bit more in her account. Fingers crossed she is able to get some scholarships to help with the expenses. People don’t save for college/university for their kids. There’s so many programs and student loan options – but I have bank accts for my kids with savings so I need to! I did that for my kids about 14 years ago, and my daughter goes off to college next year. I am so happy that I did otherwise I am not sure if we could afford college now. Everything will be paid for. The only down side is that we no longer live in Florida, but she will have to go to school there. We do have family there so that helps a bit. For anyone reading this comment DO IT! So worth it! This is so nice! I think its so important to start early because education will just keep rising in cost! Go Florida! One of the reasons I like Florida. Great options for parents to get ahead and pay for college. I just hate we didn’t stay in Florida. Those are great reasons. Jake is almost 18, but we don’t know if college is his next step. It sure can be expensive though! What an awesome idea and plan through Florida. I think it is great that we make these investments while the kids are little to give them help when they are older. They have a program somewhat like this here in Iowa but its a bit more limited. I think your sttes version is a whole lot better. My only concern bout these, is are you committed to the state youre in if the kids want to go elsewhere? I hadnt even thought bout that until now.